Vitamin D is a fat-soluble vitamin that occurs naturally in a small number of foods. Vitamin D exists in large supply in UV rays from sunshine and supplements. Vitamin D sources of food have improved over recent years with stores selling more vitamin D infused foods. Surprisingly, some researchers estimate as much as 75 percent of the U.S. teens and adults are deficient. This is startling because maintaining proper levels of vitamin D and calcium can decrease the likelihood of breaking a bone or developing osteoporosis. Additionally, new research, vitamin D deficiency is finding associations with cancer, diabetes, arthritis, depression and heart disease. Below are the three sources of vitamin D for the body. The best way to get vitamin D is from the sun. In fact, a fair-skinned person, being outside for 10 minutes in the midday sun—in shorts and a tank top with no sunscreen—will get enough radiation to produce almost 250 mcg (10,000 IU’s) of vitamin D.
Incidentally, this is where D gets its cheery nickname, “the sunshine vitamin.” This process starts when the skin absorbs ultraviolet B (UVB) rays from the sun. Next, your skin takes the UV light and uses a process called “photolysis” to form vitamin D. The newly created vitamin D heads to the liver to perform its functions in the body. In the warmer months, sunscreen use not only prevents an uncomfortable sunburn, but it also prevents vitamin D absorption by blocking UVB light up to 99% at SPF 30. 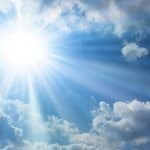 For good dermatological health, sunscreen is a must, so conscientious users must find alternative ways to obtain vitamin D.
Vitamin D Supplements – D3 or D2? The second best way to get enough vitamin D is with supplementation. While relying solely on sunshine can be tricky, vitamin D supplements provide a steady source of vitamin D all year. Specifically, with foods providing less than 25 mcg (1000 IU) in single servings, supplements can easily provide more than 25 mcg (1000 IU) per serving. There are two forms of vitamin D supplements available (D-2 and D-3). However, most studies show D-3 to be more easily absorbed by the body, which is why our physician formulated Cooper Complete vitamin D supplements use the D-3 form. 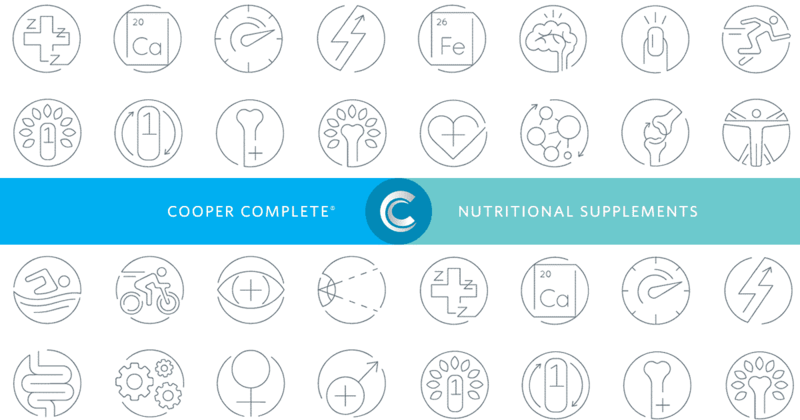 All Cooper Complete multivitamin formulas contain 50 mcg (2,000 IU) vitamin D-3 in a daily serving. For those who need a higher amount, we offer vitamin D3 softgels that contain 25 mcg (1,000 IU) or 125 mcg (5,000 IU) per softgel. Vitamin D, though found in food, is not prevalent or abundant. Seafood is your best bet to find vitamin D naturally. Three ounces of Sockeye Salmon yields 11 mcg (447 IU) and three ounces of canned tuna, 4 mcg (154 IU). A growing number of products are being fortified with vitamin D. Fortified milk, orange juice, yogurt, and cereal are popular buys. However, it is still unlikely that you will get the desired level of vitamin D solely from food sources. To find out how much vitamin D is in the products you buy, consult the nutrition label. For example, a serving of Kellogg’s Corn Flakes® shows 10% vitamin D. This percentage is of the RDA for vitamin D (15 mcg/600 IU). It can thus be translated to 1.5 mcg/60 IU per serving. If you add a cup of fortified milk containing 3 mcg (115 IU) vitamin D, that brings your breakfast up to 175 IU. Most nutrition experts agree that a balanced, nutritious diet is the best way to obtain necessary nutrients, but building a 50+ mcg (2,000+ IU) diet from these fortified numbers may prove to be a difficult task. A blood test will reveal your vitamin D level. As you review your blood results, your D level should be between 30-100 n/mL, although the doctors at Cooper Clinic target a level in the 40s to 50s for their patients. The Recommended Daily Allowance (RDA), as set in 2010 by the Institute of Medicine (IOM), is 15 mcg (600 IU) daily for those 1-70 years of age and 20 mcg (800 IU) daily for those 71 years and older. Cooper Clinic recommends even more. After almost a decade of examining vitamin D blood tests, we believe a baseline consumption of at least 50 mcg (2,000 IU) per day is optimal. The Vitamin D Council (a nonprofit with the goal of educating the public on vitamin D) has an even higher recommendation – 125 mcg (5,000 IU) per day for adults. The research is ever expanding on vitamin D’s role in health. The prospects remain favorable and provide added incentive to pursue an optimal level with intentionality. If you have questions about vitamin D or other vitamins and supplements, call us at 888.393.2221.